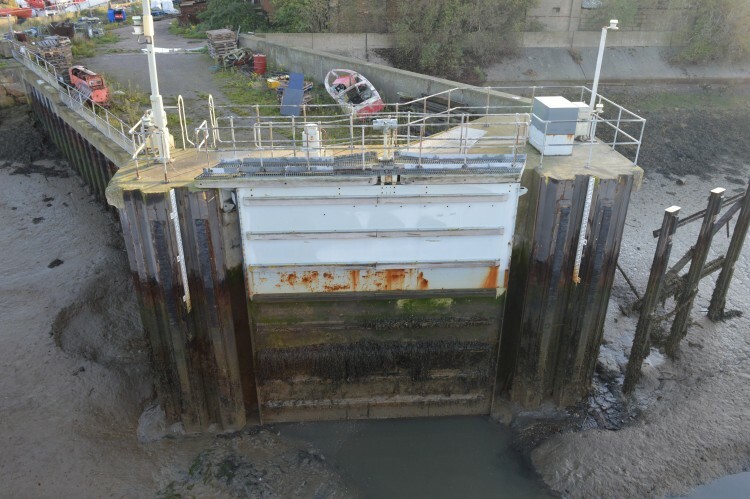 TEAM 2100 is a partnership of the Environment Agency, CH2M Hill, Balfour Beatty, KGAL, Qualter Hall and Hunton Engineering tasked with maintaining the flood defences along the tidal span of the River Thames. Created in 2013 and spanning over 10 years the team are responsible for all defence structures from Teddington Lock in Surrey to the entrance of the Thames from the English Channel – a 340km stretch of river. Hunton’s role includes detailed condition assessments, design of structures, technical appraisals, manufacture and installation of M&E equipment. The defences to be worked on includes floodgates, tidal surge barriers, lock gates and pumping stations. The project is valued at around £340 million and is the largest flood defence programme in the world at this time. We are currently working on numerous projects within the TEAM 2100 framework including technical appraisals on over 100 flood defence sites. We have also been commissioned to carry out the design and detail of Queenborough Tidal Defence Barrier. The package we are producing includes the structural design of the two gates and fully detailed drawings, along with the design for the hydraulic operation system and the electrical control system. We have also been tasked with solving the siltation issue present at this site, which also effects numerous other tidal site. As can be seen in the image, the site suffers from large deposits of silt on every tide and Huntons are currently developing a Silt Management System for the site, and subject to successful trials can be retrofitted to other sites suffering from similar issues.